Biomedical Sales: What is Reconditioned Biomedical Equipment? - Stat Bio-Medical Sales & Service, LLC. Biomedical Sales: What is Reconditioned Biomedical Equipment? Used, refurbished, and reconditioned biomedical equipment are terms that are often used interchangeably in the medical industry. Equipment that is refurbished or reconditioned is attractive to many medical practices, surgical centers, and healthcare facilities because of the cost savings compared to new equipment price tags. However, when it comes to biomedical equipment sales, the standard of patient care must always be the top priority. The only way to be sure that you are getting quality equipment is to work with a biomedical sales and service team that has a solid reputation for providing dependable, brand name new and used biomedical sales. Stat Bio-Medical Sales & Service was founded in 2002 and was launched with a singular goal in mind: to provide clients with comprehensive biomedical equipment sales and service. We sell both brand new and reconditioned or used equipment while providing quality scheduled maintenance, emergency repair, and other required servicing for all the top brands in the business. We work with physician’s offices, dental clinics, healthcare clinics, surgical centers, and hospitals throughout the United States, offering unmatched customer service from contact to delivery. Equipment that is considered refurbished or reconditioned is technically “used,” but it has met stringent industry standard requirements to ensure that it is just as good as brand new equipment. Inspections of all reconditioned biomedical equipment sales are required to make sure that any parts or components that don’t meet up to regulations are repaired or replaced, as needed. 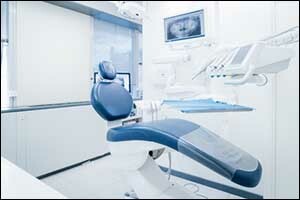 In most cases, any aesthetic issues with the equipment will be fixed as well, providing a nearly-new experience. All equipment will be recalibrated and thoroughly tested to make sure that it is working exactly as it should, to provide safe, effective, and efficient operation for the patient and the user. Not all new and used biomedical sales companies are alike, so it pays to find biomedical sales and service that you can trust and depend on to provide you with quality results. Choose a reputable company that provides sales of reconditioned biomedical equipment in your area. Ask around to other administrators or request a list of references. This can be very helpful if you are not familiar with service companies in your area or need to make a change. Ask the sales team about any policies relating to reconditioned biomedical sales and service, the process used to refurbish the equipment, and technician training and certification that pertains to the services you require. You want to feel confident about any purchase you make or services that you hire, so it pays to learn all you can. This is a frequent question asked by hospital administrators when faced with biomedical equipment that requires regular servicing or is costly to repair. There are valid reasons for hanging onto older equipment that has been properly serviced and maintained, but only if it is cost-effective and guaranteed to be safe and effective for patients. The rule of thumb for administrators should be that if you are spending a couple of thousands of dollars just to repair or maintain a piece of equipment each year, you might want to replace it. If your budget doesn’t allow the purchase of new biomedical equipment sales, a newer model that falls under the scope of reconditioned biomedical equipment might be in order. With budgets always a concern for most administrators, it is essential to consider all of your options when it comes to biomedical sales and service. Our team is trained and certified to work with the top brand names of biomedical equipment in the country, and we are proud to provide new and used equipment sales to clients all across the United States. Our goal is to be the best biomedical equipment sales company for both new and reconditioned biomedical equipment, providing our clients with dependable, reliable, and trusted services. If you are interested in learning more about the advantages of reconditioned equipment sales or would like to receive a consultation for older equipment that might need to be replaced, give us a call toll-free at 1-877-995-1117.